Food Safety is a priority. 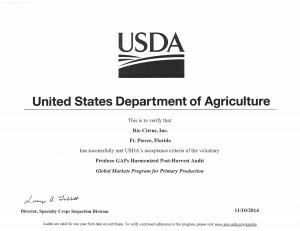 Our comprehensive food safety program earned the stringent USDA GAP & GHP food safety certification. Customers have confidence knowing food safety, traceability and accountability are part of our culture.